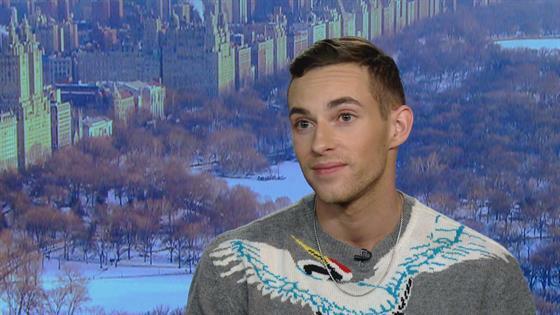 To compete or not to compete, that is the question on Adam Rippon's mind after his electrifying run at the 2018 Olympics. But as he explains to E! News in a sit-down interview, the figure skater says snagging a discount getaway is the only way he'll make his way to Beijing in 2022. "On the immediate horizon I'm taking advantage of all these open doors and just seeing what I want to do after skating," Rippon shares. "If I got to Beijing 2022, it's because I found a great deal on a vacation. Is that fair? I'm not going to be competing." He adds, "This was my last Olympics, and again that's why I wanted the full experience… I'm not a spring chicken!" 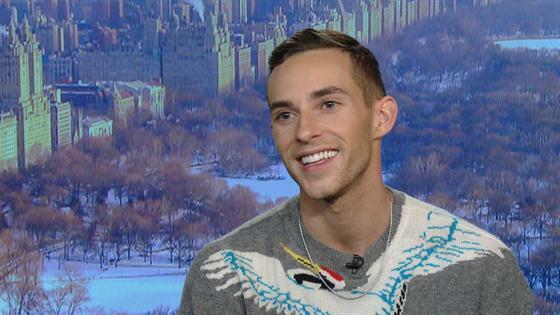 Adam, 28, helped the U.S. win a bronze medal in the team event in Pyeongchang, making him the U.S.'s first openly gay athlete to medal at any Winter Olympics. This, the charismatic personality says, is the reason Rippon's first Olympics is also his last. "Well, I don't know if this is an official retirement, but if I do skate it would be for another season or two. I would not be going to the next Olympics," Adam assures. So what's next for the overnight celebrity, who attended the 2018 Oscars with fellow ice queen Mirai Nagasu? He teased plans to hang with the one and only Reese Witherspoon, saying he hopes to "plant the seed" of a cameo appearance on Big Little Lies season two. As for a career in show biz, Rippon quips, " I don't know. I'm acting like a got some sleep last night so I think I'm well on my way. I'm going to put that on my IMDb actually." Adam also says he'd "definitely" consider competing on Dancing With the Stars. "I think it's something that would be really fun," he explains to us, adding, "I've never danced with a partner before so that would probably be my biggest struggle but I love performing and I'm always up for learning something new." For more from Adam, press play on the videos above!